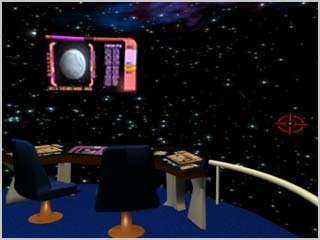 The Federation's new and improved Astrometrics, Stellar Cartograpy is a spherical room which can project space imagery and map information for the crew. 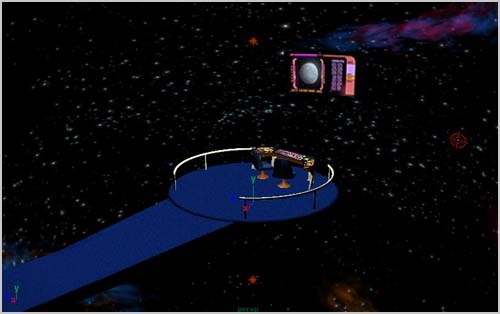 The main computer in stellar cartograpy caontains all the federation's collected data on spacial anomalys, planets , territory, and space in general. 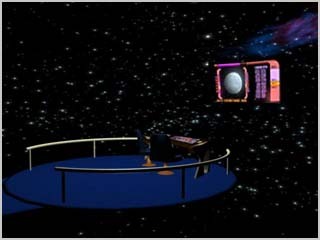 The entrance to the room is hidden behind the holo imagery when its being projected. 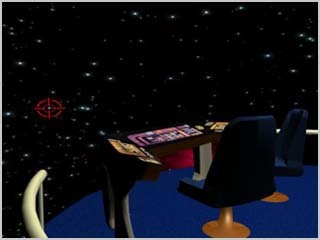 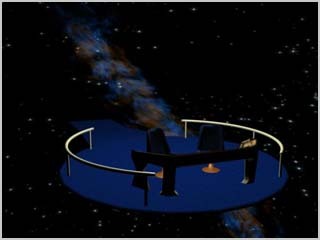 When sitting at the console, a person could easily think of themselves as floating through space.